As Joseph Goodrich's recent collection of some of the correspondence between the "Ellery Queen" cousins, Fredric Dannay and Manfred B. Lee, makes clear, the two mystery writers found it something of a challenge updating tales of their Golden Age Great Detective, also named Ellery Queen, to the more modern era of the "realistic" crime novel, Ellery Queen having had his inception in the baroque era of writers like S. S. Van Dine, creator of Philo Vance, that g-droppin', high-falutin' man about town who in his spare time (that which he doesn't devote to his collections of exotica like tropical fish and Egyptian papyri) resplendently emerges from his New York brownstone, a slavishly devoted attendant "Watson" in tow, to solve diabolical yet vastly improbable crimes concerning nursery rhymes, family eliminations and cursed dragon pools. By the mid-30s, as Van Dine began his descent into desuetude, Ellery Queen was loosening the tight puzzle boxes that were their own books. They produced novels aimed at adaptation on the silver screen and serialization in the lucrative glossy women's magazines--the slicks--that put less emphasis on pure detection and more on human emotions; and then in 1942 came Calamity Town, the first of their Wrightsville novels, set in small, "All-American" northeastern town, which aimed at achieving greater realism in terms of milieu and character. By the early 1950s EQ as I see it had definitely emerged into another stage, where they attempted to produce "serious" novels addressing metaphysical issues, within, however, the detective novel framework. In this period you get some detective novels with very odd symbolic elements, such as The Origin of Evil (1951), The King Is Dead (1952) and The Finishing Stroke (1958), this last novel, incidentally, having many of the elements, seemingly, of a swan song. And, in fact, at this time Manfred Lee, who wrote the novels from Dannay's extensive outlines, dropped out of an active role in the partnership for a time, claiming, as I understand it, a case of "writer's block." The correspondence between the cousins in the later 40s-early 50s collected by Joseph Goodrich indicates that Dannay and Lee had strong artistic disagreements about the composition of the books, Lee wanting to put greater emphasis on realism, Dannay desiring to maintain big concept puzzles, which Lee felt it was difficult to write about in a realistic fashion. You can see that split in much of their work in the 1940s and 1950s, and I can't help wondering whether Lee just got burned out with it all by the late Fifties. 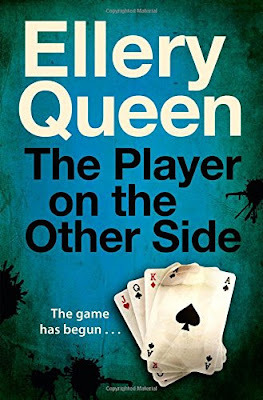 In any event, there was no new Ellery Queen novel published until 1963, with the appearance of The Player on the Other Side, probably the most acclaimed EQ novel from the last eight years of the EQ saga (1963-1971). What was not admitted at the time was that Manfred Lee did not write this acclaimed detective novel, although it was based, as others before it, on a long outline from Dannay. The actual author was the highly-regarded sci-fi writer Theodore Sturgeon, although according to the splendid website, Ellery Queen: A Website on Deduction, Sturgeon's manuscript was extensively revised by Lee, with additional revisions made by Dannay. Player certainly reads to me like vintage Ellery Queen. The plot is an artificial Van Dineian conception, many of the characters are classic mystery types, not really developed, and the setting is nearly timeless and placeless (aside from the introduction of a black cop into the story)--yet there are some very interesting and thought-provoking ideas lying behind it all. Beyond that, it's just a rattling good read. The primary setting in the novel is York Square in New York City, a highly imaginary place where four cousins live in four corner "castles" separated from each other by a small park. The cousins have been obliged to live in these domiciles if they want to inherit shares of the fortune of their eccentric uncle, Nathaniel York. In six months the period required by the will have expired, and the cousins finally will be able to "cash out," so to speak. Oh, and I should mention that the arrangement is a tontine (naturally! ), under which when a cousin expires, his/her share goes back into the kitty for the others to divvy. You probably won't be surprised to learn that it's not long before one of the York cousins is dead, by most violent means. Will others follow? Soon Ellery Queen, mystery writer and Boyish Genius (by this time Ellery is vaguely middle-aged, but I can't help but think of him as Jim Hutton, who played him on the wonderful, short-lived television series and was still quite boyish-looking at that time, forty years ago), is on the case, courtesy, as usual, of his crusty old father (whom I always think of as David Wayne, due to said television series), Inspector Queen, of the NYPD. Concerning Ellery, there's an interesting introduction to him in this book, where we learn that he, like Manfred Lee, is suffering from writer's block. In Ellery's case, it's because he hasn't been getting "good" cases from his Dad to fictionalize in his novels. 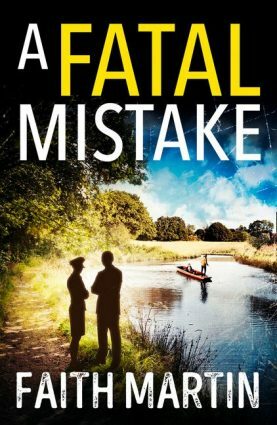 It seems that the age of the master villain, constructing perfect murder puzzles for his opponent, the sleuth, to try to solve, has passed, regrettably replaced by modern scientific police investigation (and modern police procedurals and hard-boiled crime novels). Explains Ellery: "I haven't been able to write any more because the player on the side doesn't exist any more....The times have outdated him--swept him away, and me with him." Of course Ellery soon finds a worthy opponent--his player on the other side--in the York case, showing that he is not so outdated after all. There are inscrutable symbolic messages, delivered on oddly-cut pieces of paper, a classic EQ device (that part I actually figured out before Ellery), as well as some splendidly Christie-esque misdirection. (One aspect of the solution, however, is rather, shall we say, tentative.) The whole thing is more thinly clued than the baroque Golden Age EQ (what isn't? ), but there was one clue I loved, so obvious when Ellery explained it, but the significance of which was missed by me at the time. Also, the chess theme is brilliantly employed, I think, though it's something lost on the covers of the modern "playing card" editions of the novel by Orion and Mysterious Press. 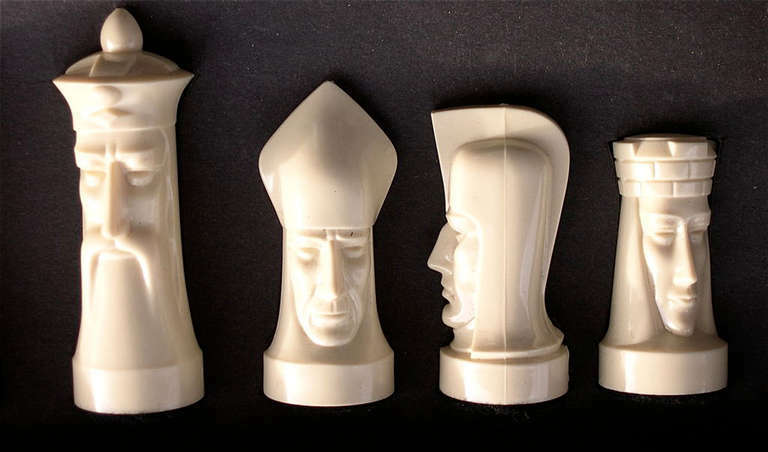 Is chess now too "old school"? Thanks Curt - you've certainly made me feel I need to add this one to my list of recommended -by-experts! It's been reprinted in UK by Orion, the best of their three EQ reprints, I think. 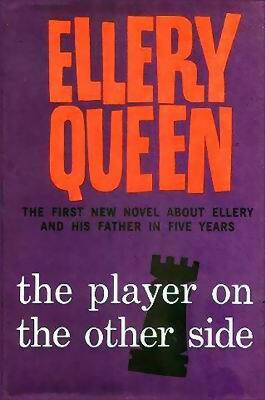 Curt, while I have never read Ellery Queen, the title of this mystery has really pricked my curiosity. I'd like to see how the authors have woven the story around the theme of chess which, as you might know, is my favourite game/sport. Thanks, also, for the background on Fredric Dannay and Manfred B. Lee. I enjoyed your review. 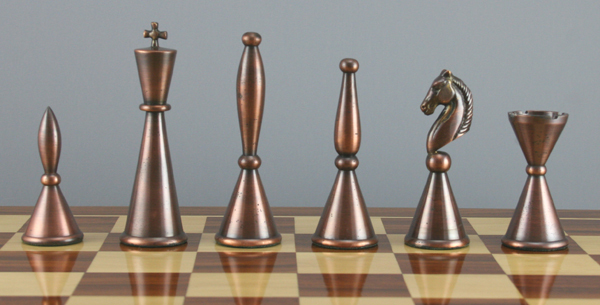 My Dad was a great chess player, but I never really took it up, though I do like abstract games. Glad you liked the review! I do like this one a lot Curtis, though I have a huge affection for FACE TO FACE (a genuine Dannay-Lee collaboration). In Italy it was published as BENTORNATO ELLERY (WELCOME BACK ELLERY) and it does feel like the character coming home as it is very Van Dine-ish too. Player is so Van Dineish in setting an some of the plot gambits it gave me a real sense of nostalgia for Van Dine's wonderfully fanciful set-ups! I have to confess that, of all the EQs, Calamity Town is my favorite, but The Player on the Other Side isn't all that far behind; I've always assumed this is because Sturgeon, too, is a favorite author. Whatever the case, this is a wonderful novel, and your writeup is just what the doctor ordered. My other shameful admission is that I've never read any S.S. Van Dine/Philo Vance, probably because so put off the author by Julian Symons's account of him in Bloody Murder. Maybe I should remedy this. And Symons rather liked Van Dine's books, at least the early ones! Glad you liked the piece, I think Sturgeon's and Davidson's books for EQ from Dannay's outlines were very interesting. Thanks for the comments everyone. Prashant, I have always loved the title to this one, even before I actually read it. And the title really does illustrate the theme, which is very nicely done in the book. I really enjoyed both this and And on the Eighth Day, although I can see how the latter divides opinion. Have yet to read Face to Face, though I know Carr raved it. Of the later ones, didn't like House of Brass at all, or The Last Woman in His life. Started Fourth Side of the Triangle once but never finished! Some of the reviews I've read suggest that 'Face to Face' is just about the only decent title amidst the final few novels. I quite enjoyed it, but found it slightly modish in writing and description. After Player and their next book, which was back set in the 1940s, EQ did try to get more modern, with varying success.